THE real challenge awaits in 2019, summed Team Lakay coach Mark Sangiao. After steering the squad to unprecedented heights this year winning four titles in ONE Championship and another in Brave Combat Federation, Sangiao believes tougher challenge awaits the team next year is they gear up for more title fights in both mixed martial arts promotions. “I believe everybody will be eyeing our titles next year and that is where the real challenge lies, on how to keep those belts,” Sangiao said during the victory parade set by Baguio City for Team Lakay on Sunday, December 2. Team Lakay’s Geje Eustaquio first earned the Baguio based MMA squad’s title this year after defeating Adriano Moraes for the One Championship’s flyweight crown followed by Joshua Pacio’s conquest of Yoshitaka Naito for the strawweight crown. Earlier in November, Kevin Belingon ended Bibiano Fernandes reign in the bantamweight division and just recently Eduard Folayang recaptured the lightweight crown after dominating Amir Khan at the Mall of Asia Arena. 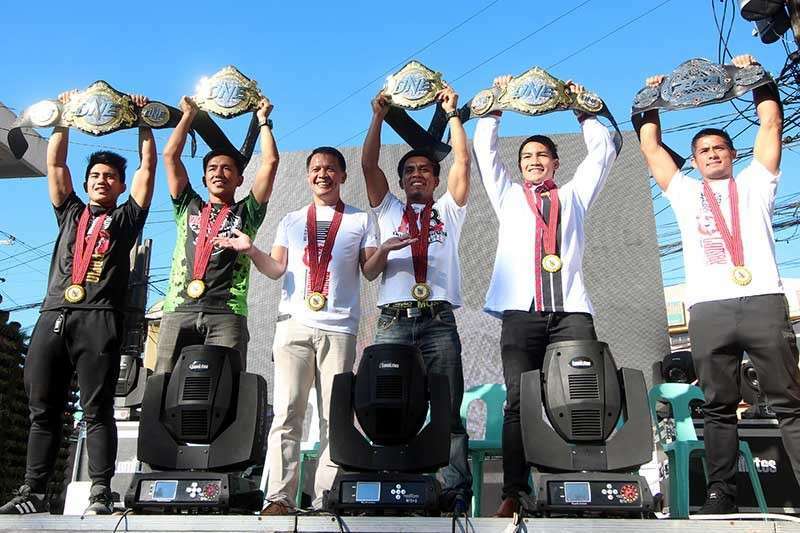 Folayang’s recent victory served as the icing on Team Lakay’s cake to dominate One Championship as the Philippines recorded having the most title in MMA. Stephen Loman, the fifth Team Lakay champion meanwhile has defended the bantamweight title twice this year on Brave CF and is set to make his third title retention next year when the Bahrain MMA promotions set its foot in the country. 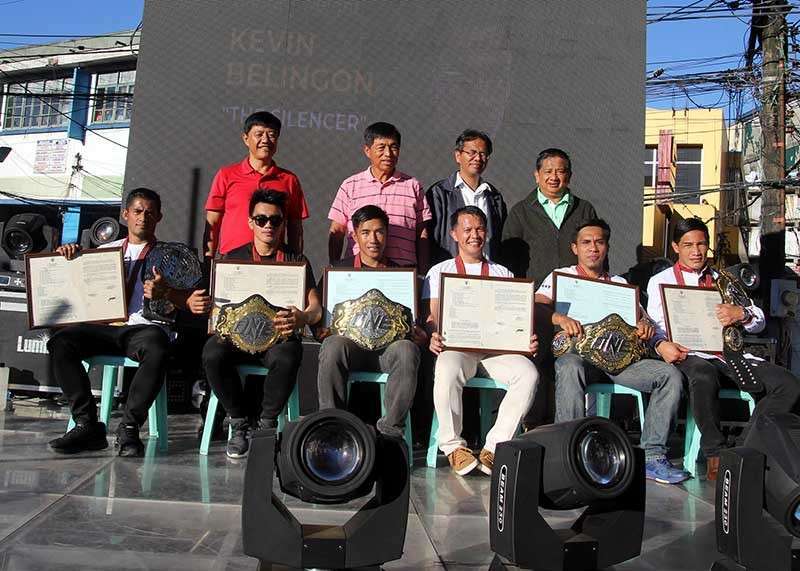 Sangiao thanked the throng of MMA supporters who trooped to the Malcolm Square for the Heroes Parade set by the City Government of Baguio where the Team was given citation by city officials headed by Mayor Maurucio Domogan.